First, it was Knut, the overwhelmingly cute polar bear. Then, it was Paul, the World Cup oracle octopus. 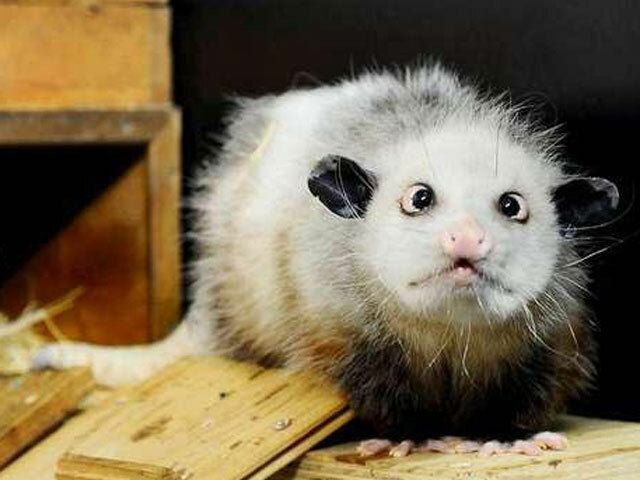 Now, the latest German zoo resident to gain massive fame is Heidi, the cross-eyed opossum, currently in residence at the Leipzig Zoo. Heidi will not be on public view until July, but she already has 50,000 Facebook fans, a YouTube hit and a stuffed doll modeled after her, reports the German news magazine, Der Spiegel. The adorable, Muppet-like opossum shot to fame after a German tabloid went to photograph the Leipzig Zoo's new "Gondwanaland," a theme area designed to recreate primitive times, according to the report. All it took was one look, and the German public was in love. Heidi is a Virginia Opossum, which the Ohio Department of Natural Resources describes as "one of the oldest and most primitive species of mammal in North America. This animal is little changed from its ancestors 70 million years ago." Besides being the only marsupial to originate in North America, the species is most famous for giving rise to the phrase "playing possum," because they frequently react to threats by pretending to be dead. Zoo officials speculate that her crossed eyes might have been caused by a bad diet early in life, Der Spiegel reports. The eyes might look off, but they cause the animal no pain, and don't affect her ability to get around, according to the zoo. She is, aside from her looks, a normal opossum.